Many people are part of our lives; some are family, others are friends and yet others are people we work with. Some of these people are part of our lives without choice (co-workers) and others we can choose (friends). We have many roles including son/daughter, husband/wife/partner, brother/sister, friend, co-worker and many more. Our life roles are important and we need to think about them consciously. I know my life roles and have goals or plans to support them. We all have many roles in life, e.g. son/daughter, brother/sister, friend and many more. 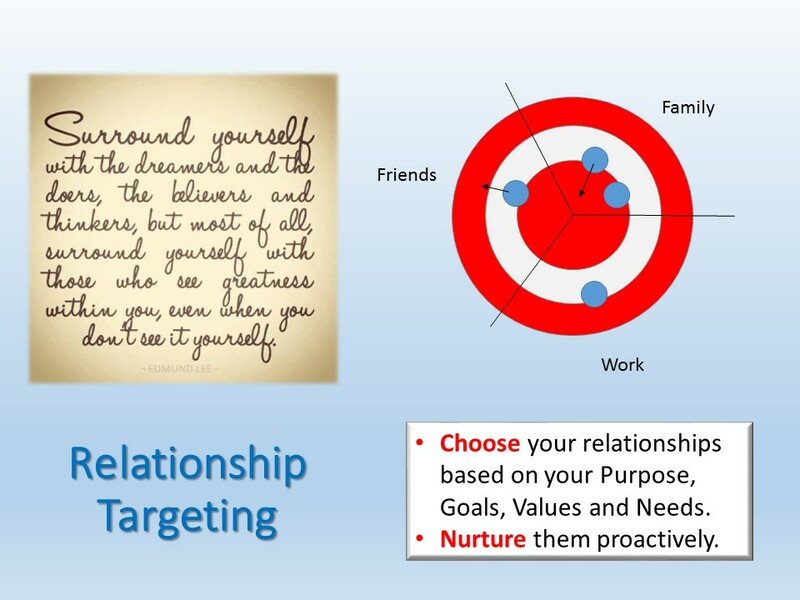 When we consciously think about these roles we are in a position to better fulfill them and enhance our relationships. Make a list of your life roles (use the worksheet below). Determine the importance of each role, consider ranking them from highest to lowest. For each role partner, have a discussion about 2-way expectations or needs. Seek a way to add value to the relationship recognizing each will be personal and unique. Talk to your role partner about expectations or obligations. Keep it simple. Keep your mind focused on the role you are playing at the current time. Make sure your weekly schedule balances yours according to your goals and priorities. You have to “invest” in relationships. Contact Tony Aloise for the Life Roles Exercise as part of the Mentor for Purpose series. See Life Roles Exercise (see worksheet below). Know Who You Are on ThePopeandtheCEO.com. 3 exercises. The above exercises can easily be adapted. What is the most important role in your life? Why? How do you fulfill this role today? What can you do to better fulfill the role and potentially improve the relationship? What expectations does the other person have of you? Are they explicit? What obligations do you have? How do your bring value to the relationship? Is the relationship working for you? What would the other person say? What actions can you take to improve the relationship? Vision and Goals by Role. Role: The usual or expected function of somebody or something, or the part somebody or something plays in an action or event. The part played by somebody in a given social context, with any characteristic or expected pattern of behavior that it entails. Synonyms: position, function, responsibility, job, task, part. I am a husband, father, son, brother and more! Five Life Roles by Joseph Tan on YouTube. He suggests we have 5 life roles, each with a video: Person, Provider, Proclaimer, Partner, and Parent.